If you follow me on my Twitter or Instagram then you may have seen me talking about an upcoming video for my channel. 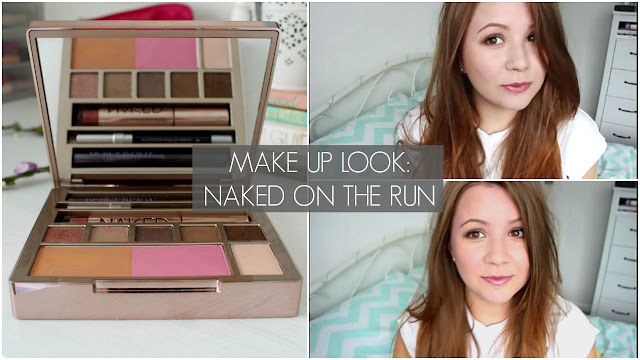 I spontaneously filmed this video focusing on using the Urban Decay Naked On The Run palette and I've been eager to edit and upload it but as I only have Windows Movie Maker it's been a little tricky to get the video how I wanted. I've finally finished editing and I'm excited to tell you I've uploaded my first make up look/tutorial video and I'd love it if you could give it a watch. I use every product that's included in the palette except the eyeliner to create a simple look perfect for the daytime. I posted a full review on the palette a few days ago so if you do want to find out what I think of the palette and the included products then head over to this post.